All about Madhya Pradesh Teacher Eligibility Test (MPTET) ✓ Notification ✓ Application Form ✓ Syllabus ✓ Admit Card ✓ Eligibility ✓ Question Papers ✓ Answer Key ✓ Exam Date ✓ Exam Pattern ✓ Cut-off Marks ✓ Preparation Tips for the post Primary Teacher (from 1st class to 5th class) and Upper Primary Teacher (from 6th Class to 8th Class) examination to be held 2019. Candidates interested in appearing for the exam should apply only through online process from official website of Madhya Pradesh TET i.e. www.vyapam.nic.in. The Government has Decided to Conduct The Madhya Pradesh Teachers Eligibility Test – MPTET 2019 Exam Once Again in the Current year to help more Number of Candidates to Apply for Madhya Pradesh TET 2019 The State Government has announced the TET Madhya Pradesh 2019 Latest Schedule now. Madhya Pradesh TET (MPTET) Qualification Teachers of Classes I-V (Paper I) Candidates should have passed in Senior Secondary (or its equivalent) with at least 45 percent marks. Those appearing in final 2 year Diploma in Elementary Education / 4-year Bachelor of Elementary Education (B.E.Ed.) / 2 – year Diploma in Education in Special Education are also eligible. OR Candidates with BA / B.Sc. with at least 50 percent marks and B.Ed qualification can also apply. Madhya Pradesh TET (MPTET) Qualification Teachers of Classes VI-VIII (Paper II) 2019: Applicants having B.A. / B.Sc and those appearing in final 2 year D.Ed. / B.A. /B.Sc. with at least 45 percent marks and passed / appearing in B.Ed / Senior Secondary with at least 50 percent marks and passed or appearing in final 4-year Bachelor in Elementary Education (B.El.Ed) / 4-year BA/ B.Sc.Ed. or B.A. (Ed.)/B.Sc. (Ed.) / B.Ed. (Special Education) with 50 percent in BA or B.Sc are eligible for MPTET. Application Fee & Entrance Exam fee given in your prospectus. 1. A person who scores 60% or more in the MP-TET examination will be considered ‘MPTET passed’ or ‘MP-TET qualified’. This will be the qualifying marks for all categories. 2. Negative Marks: There shall be no negative marks for the test. Paper I Syllabus: To become teachers for classes I-V in Madhya Pradesh primary school. Paper II Syllabus: To become teachers for classes between VI and VIII in Madhya Pradesh upper primary school. Paper I and II: For those candidates who interested in teaching from Class I to VIII. They can appear for both the papers and have to get qualifying marks to be considered for all the classes. Candidates will be able to download their Admit Card before the two weeks of the exam. 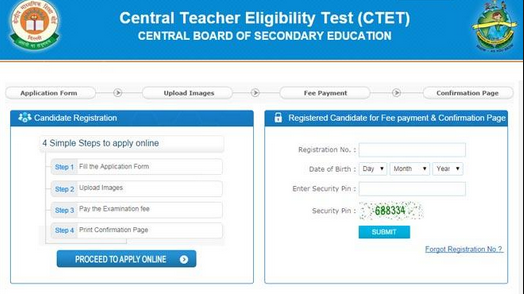 Candidates are requested to visit the same website to download their Admit Card For Madhya Pradesh Teacher Eligibility Test (MPTET) Exam 2019. 1:- Log on to the official website. STEP#01: Log on to official website of Madhya Pradesh TET. to apply online for MPTET. STEP#04: Fill and edit Madhya Pradesh TET 2019 online application form. I have 65% marks in 12th and 44.44% marks in Graduation and 72% in B.ED.